The Supreme Court on Monday acknowledged that air pollution has become a serious health threat in the national capital and issued notices to the Union government, Delhi and its surrounding states. The notices sought response from the state and central authorities on a report from the Environment Pollution (Prevention and Control) Authority (EPCA) on “Priority measures to reduce air pollution and protect public health”, which was admitted by the court as an interlocutory application. The report was presented by amicus curiae Harish Salve before the bench headed by Justice A K Patnaik; the next date for hearing has been fixed for March 10. Delhi-based non-profit, Centre for Science and Environment (CSE), welcomed the decision of the apex court. “The bench has taken serious cognisance of the fact that Delhi has not been able to sustain air quality gains and air pollution levels are rising again,” stated a press release issued by CSE. While the annual average PM10 levels were reduced by about 16 per cent between 2002 and 2007, it increased dramatically once again by 75 per cent after 2007. The nitrogen dioxide levels have also increased by 30 per cent since 2002. During the same decade (2002 to 2012), vehicle numbers have increased by as much as 97 per cent, contributing enormously to pollution load and direct exposure to toxic fume, pointed out CSE. Based on EPCA report, Salve brought to the notice of the bench that this winter Delhi’s air pollution levels increased to dangerous levels. Almost throughout this winter, levels of PM2.5, tinier particle that go very deep inside the lungs, have remained two to three times higher than the standards. Many a time, PM2.5 levels were 4 to 7 times the standards; and during high smog episodes these were 8 to 10 times higher than the standards. This is extremely dangerous for people suffering from asthma, other respiratory and cardiac problems and also for children and the elderly. Studies such as those carried out by the Central Pollution Control Board and Chittaranjan National Cancer Research Institute were cited to show how health of Delhi’s children has been compromised and their lungs impaired. A long term favourable taxation policy to promote CNG programme: The CNG programme, one of the key measures directed by the Supreme Court to curb air pollution, particularly diesel pollution which poses a threat because of wrong fuel pricing policy. Over time, the price gap between CNG and diesel fuels has narrowed considerably, hurting the programme. In 2002-03, CNG was cheaper than diesel by about 46.71 per cent. Between 2004 and 2009, the difference widened further to more than 50 per cent as diesel prices increased. But in December 2013, the price differential plummeted to 7.35 per cent. It was only after the most recent intervention to reduce CNG prices by Rs 15 per kg that there was again an increase in the price difference between diesel and CNG to about 35 per cent. High CNG costs hurt public transport and undermine clean fuel programme. Introduce Bharat Stage IV emissions standards nation-wide by 2015. Move quickly to Euro V and Euro VI by 2021. Salve pointed out that Delhi specific standards alone will not help any more. All states will have to move to tighter standards to reduce direct exposure to toxic vehicular fumes. Also, uniform emissions standards will allow trucks and inter-state buses to move to cleaner fuel and technology that otherwise pollute cities during transit. If there are concerns over costs of improving quality of fuels then the government may also be directed to frame fiscal measures to meet the refinery upgrade costs to produce clean fuels for rapid introduction of clean diesel and technology. Limiting improved emissions standards only to a few cities and to a smaller proportion of urban population violates the fundamental right to healthy life for all. Impose additional 30 per cent environment compensation charge on private diesel cars. The Union of India and Ministry of Petroleum and Natural Gas should be directed to invest revenue from additional tax on diesel cars to produce clean diesel (10 ppm sulphur) to enable introduction of vehicles complying with Euro V and Euro VI standards nation-wide and also scale up public transport. Private cars alone use 13.15 per cent diesel which is higher than the quantity used by buses use (9.55 per cent), agriculture (13 per cent), railways (3.24 per cent) and mobile towers (1.54 per cent). Cars are the second highest users of diesel after trucks at 28.25 per cent. The World Health Organization (WHO) has formally reclassified diesel emissions as class I carcinogen for its strong link with lung cancer – putting it in the same class as tobacco smoking. The proposal also came up to tax all cars for the damage they cause to environment and health. Augment bus fleet to 10,000 -11,000 within a year, or face contempt: In 1998, the Supreme Court had ordered that Delhi should have 10,000 buses. But even now, only 6,251 (DTC—5,216 and cluster buses—1,035) are plying in the city. Subsequently, the Delhi High Court had sought augmentation of the city bus fleet to 11,000. A detailed phase-in schedule for introduction of the buses to be submitted to court. Whreas public transport is the means to reduce air pollution, Delhi has suffered serious loss of bus ridership from 60 per cent in 2000 to 40 per cent in 2008. Nonetheless, even today buses carry maximum passengers and are expected to play a significant role to help Delhi achieve the Master Plan target of 80 per cent public transport ridership by 2020. Government of National Capital Territory of Delhi, Transport Department of Delhi, Public Works Department, Delhi, UTTIPEC - DDA and traffic police be directed to submit a time-bound plan on implementation of appropriate network of dedicated pedestrian and cycling lanes with high degree of safety for pedestrians and cyclists. This should be based on equity of use and need of the road users, including walkers, cyclists and public transport users. Road-building agencies like PWD, bodies designing infrastructure like UTTIPEC, traffic police, which is responsible for enforcement, need to give a network plan for walking and cycling lanes and all road projects should be subject to this plan. Public transport solution cannot work if people cannot walk and cycle safely and comfortably in the city. The road accident data from the Union Ministry of Road Transport Highways for 2012 shows that every hour one person is either killed or injured in road accident in Delhi. Yet over 39 per cent of daily commuters, comprising the majority, walk and cycle in Delhi (RITES survey of 2008: walk share is 35 per cent and cycle share is 4.4 per cent). The absolute number of walk and cycle trips in Delhi are still among the highest in the country. This will have to be protected and scaled up. Time-bound action plan for augmentation of public transport services and necessary action to remove entry taxes on public transport buses across borders in the NCR under reciprocal agreement. On an average, close to 2 million daily inter-city trips are made to Delhi and enormous number of trips made out of Delhi. During the past 7 to 8 years, traffic volumes have increased well over this. But mass transportation – bus and rail – has not kept pace with this growth. This has driven the growth towards private and personal transport modes, which in turn, has added to pollution and congestion. Reverse the practice of imposing higher taxes on public transport buses in NCR; tax the car. Delhi as well as other concerned state governments, Haryana, Uttar Pradesh and Rajasthan that form NCR, may also be directed to take similar measures. Wrong fiscal policies are hurting public transport. It is ironical that buses that meet 40 per cent of travel requirement in the city are taxed higher than cars. For example, a car costing around Rs 4 lakh to Rs6 lakh pays one time life-time road tax in the range of Rs16,000- Rs 24,000. This, on an annualised basis for the useful life of the car (annualised over 15 years) works out to be a mere Rs1,000-Rs 1,600 per annum. But a bus carrying 50-60 passengers pays a tax in the range of Rs15, 915—Rs 18,715 every year. This adds to the cost of bus operations. Increase parking charges effectively; demarcate legal parking areas and impose higher penalty for illegal parking to cut congestion through on-street parking, and free up public spaces and walkways from parking. Car growth is explosive also because of hidden subsidies. It is ironical car users pay nothing or pay a miniscule amount for using valuable public space to park their personal vehicles. Delhi and other Indian cities have the lowest parking charges in the world. While developed cities like London, Oslo and Paris have daily charges ranging from US $40 US (Rs 2,400) to $89 (Rs 5,340) to manage demand – about 40-80 times higher than Indian cities, even developing cities like Cape Town, Beijing have rates ranging from US $4 (Rs 480) to $8 (Rs 240)—four to eight times higher than Delhi. Harmonise vehicle-related taxes and improved vehicle testing for in-use emissions and roadworthiness in NCR. Implement daily air quality index and health advisory for public information immediately. The governments may also be directed to submit a time-bound, comprehensive action plan with short-, medium- and long-term action to meet clean air standards. Even though Delhi has made exemplary move to generate real-time air quality data to track air quality, it is not used to issuing public health alert and advisory to people to help them take precaution or enforce pollution emergency measures. 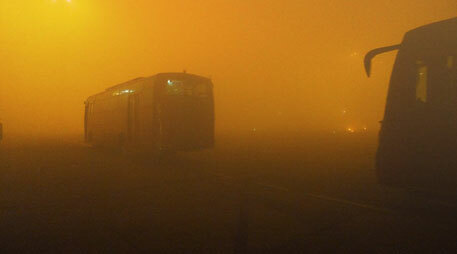 In many global cities the pollution level recorded in Delhi would have led to a pollution emergency. It was brought to the notice of the apex court that Delhi has already exhausted all soft options. Also, limiting action only to Delhi will not help. Air quality targets and benefits will have to be on a NCR-wide basis with harmonised laws and fiscal policies. Moreover, substantially improved emissions standards for vehicles and fuel quality will have to be implemented nation-wide to address regional concerns as vehicles, especially trucks, move across boundaries and add to the pollution load in cities during transit. We have made a PM10 and PM2.5 Smog Scrubber from a Dyson Vacuume DC33 washable post hepa filter available online from dyson doctor and a stainless tube. 3 fit a Toyota yaris beside the radiator. It should be in production including a solar bonnet. Its very fashionable.